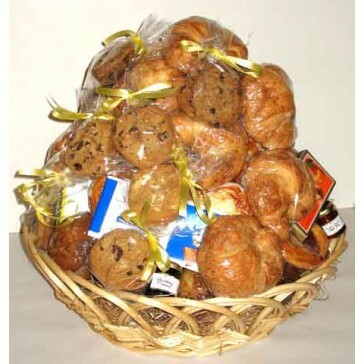 One of most popular group baskets! You'll get three dozen assorted oversized muffins, cookies and danishes. Assorted coffees, teas, nuts and pretzels top it off. Local delivery only. Shipping only on Monday/Tuesday (received by Friday). Send Michigan Gifts to anyone, anywhere.